We don’t know if you have noticed, but GRCVB groups all of our communication about the business of destination marketing under one thematic umbrella—Tourism Talk. Anything that appears under the "Tourism Talk" header is tailored for hospitality partners, business leaders, elected officials and anyone interested in tourism business in Wake County. The Mon. morning Tourism Talk E-newsletter is a summary of relevant news and updates we believe can be valuable to our partners (i.e., groups arriving this week, who’s coming, area accolades, media mentions, what our staff is up to etc.). If you are reading this, you are aware of the Tourism Talk blog, where we endeavor to tell the story of the business of tourism in Wake County, the rationale for why we do what we do, the results (i.e., economic impacts) of specific projects, programs and events, what the future of tourism looks like in the area, plus much more. The third prong of the trilogy is Tourism Talk Live, where we meet with our partners and stakeholders face-to-face to present relevant information and new developments, to dialogue with you, to field and ask questions and to continue these conversations in person about our shared business and strategies. 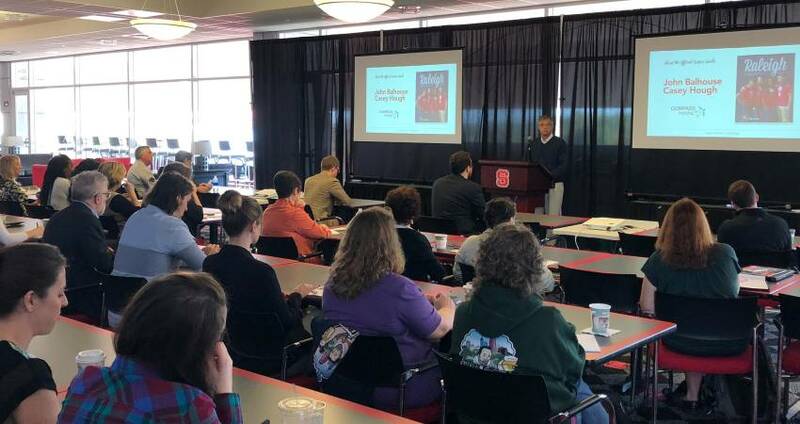 An update on content strategies and tactics for the newly-redesigned visitRaleigh.com plus email marketing and social media initiatives from GRCVB senior marketing manager Derek Allman, CHIA, and content marketing manager Michael Robson.